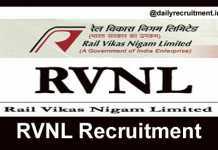 REIL Recruitment 2019: Rajasthan Electronics & Instruments Limited has announced job notification for recruitment of following vacancies such us, Engineer, Technical Assistant, Technician, Jr. Accountant, Office Assistant, Technician, Driver, Manager and Various Posts. As per Rajasthan Electronics & Instruments Ltd 2019 job notification, totally 18 vacancies are allotted for above said posts. Eligible candidates may send your prescribed application form to given below postal address and also send the scanned copy of prescribed application form to the following mail address [i.e. Mail ID: persir@reiljp.com] till the last date. Download prescribed application form and advertisement from REIL official website of www.reiljp.com. Candidates must have completed prescribed educational qualification and age limitations. The Rajasthan Electronics & Instruments Ltd selection will be made on Written Test/ Skill Test/ Proficiency/ Physical Test/ Personal Interview. There is no application fee for this recruitment. Send your application form via online and offline mode on or before the last date ends (i.e. 19th April 2019). Applications received after the last date and incomplete application will be rejected. Who wish to apply for Rajasthan Electronics & Instruments Limited Recruitment vacancies can log in/ visit their official website to collect more details like, Syllabus, Admit Cards, Results, Upcoming Vacancies & etc. Note: Late time for submission of application for above said posts has been extended up to 19.04.2019. CA/ ICWA/ Diploma/ Engineering/ Graduate/ B.Com/ 10th Standard/ MBA/ equivalent from any recognized university/institution. Check details of post wise age limitation in official notification given below. Written Test/ Skill Test/ Proficiency/ Physical Test/ Personal Interview. Check more details of post wise selection process in official job advertisement given below. Online Mode – By E-Mail [Mail ID: persir@reiljp.com]. Addl. 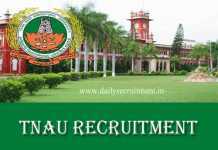 General Manager (P&IR) Rajasthan Electronics & Instruments Limited, 2, Kanakpura Industrial Area, Sirsi Road, Jaipur – 302034 (Rajasthan). Click on option -> Notification -> Vacancies. Read the notification correctly to check your eligibility for reil jobs 2019. 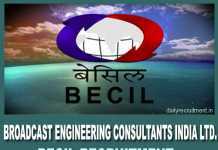 REIL Recruitment 2019: Rajasthan Electronics & Instruments Limited (REIL), Jaipur is going to fill up 18 vacancies in Rajasthan state. Recently it has released the recruitment advertisement for these 18 vacancies. Applicants who are looking for Rajasthan Govt jobs can use this chance. It invites offline applications from qualified aspirants. As per the REIL Jaipur recruitment notification, these vacancies are allotted for following posts Engineer, Technician, Technical Assistant, Driver, Account Officer & Other vacancies. Eligible candidates should send the filled application form to given address through proper channel on or before the due date 08.03.2019. REIL recruitment application form and notification is available in official website. Applicants must have possessed 10th/ Diploma/ ITI/ Engineering/ Graduate/ CA/ MBA from recognized board or university. Contenders should have attained the prescribed age limit and relaxation. REIL selection will be based on written test/ skill/ proficiency/ physical test (SPPT) & personal interview. Selected aspirants will be placed at REIL Jaipur (Rajasthan). Applications via offline mode only will be accepted. Applications received after the due date or incomplete application will be rejected. More details of instrumentation jobs in Rajasthan, merit list, selection list, result, call letter and etc. will be updated on official website. You may visit REIL Website to get more details about this recruitment. Here you will get information like educational qualification, age limit, application mode, fee and how to apply. 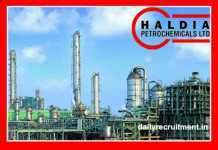 Keep check dailyrecruitment.in regularly to get latest updates. 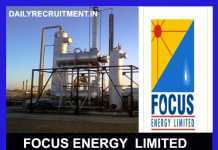 Rajasthan Electronics & Instruments Limited, Jaipur allocates overall 18 vacancies for this recruitment. Post wise vacancy details re given below. Applicants must have possessed 10th/ Diploma/ ITI/ Engineering/ Graduate/ CA/ MBA from recognized board or university. Candidates maximum age limit should be between 27 to 42 years. REIL selection will be based on written test/ skill/ proficiency/ physical test (SPPT) & personal interview. Eligible applicants should send the filled application form to given address before the last date ends. Go to official website reiljp.com. Finally send it to the give address, before the last date ends.